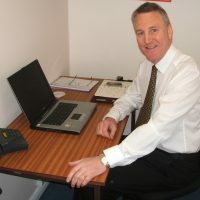 Rob Tracey is a Chartered Accountant with over 40 years experience in both the private sector and the voluntary sector. He has held senior positions as either Finance Director or Managing Director in significant businesses like Volkswagen Group United Kingdom Limited. Rob joined SNVB as Chief Executive in 2010 and has led the organisation through a period of substantial growth with successful fundraising initiatives that have generated the funds to deliver community based projects and Local Infrastructure services in South Northants and surrounding areas.